"The Admiral: Roaring Currents" brings to life an epic historical battle, but does so at the cost of historical accuracy. History is invariably an interesting subject for films. Countless films purport to tell the story of who we are, how we got here, and what meaning we can find along the way. The trouble that we too often encounter along the way is that history can be interpreted. History is viewed through the lens of the present, and as such, can be made to tell a story that might not have actually been there to begin with. History can be made to be nationalistic, presentist, or any number of other interpretations, all of which distort a true story. The Admiral: Roaring Currents is one of these films that purports to tell facts. It tells the story of the Battle of Myeongryang, a key battle in the Japanese invasion of Korea in the late 16th century. In the historical accounts of the battle, the Korean navy led by Admiral Yi Sun-shin held off the Japanese navy, despite being vastly outnumbered. The story is more or less the same in the film. 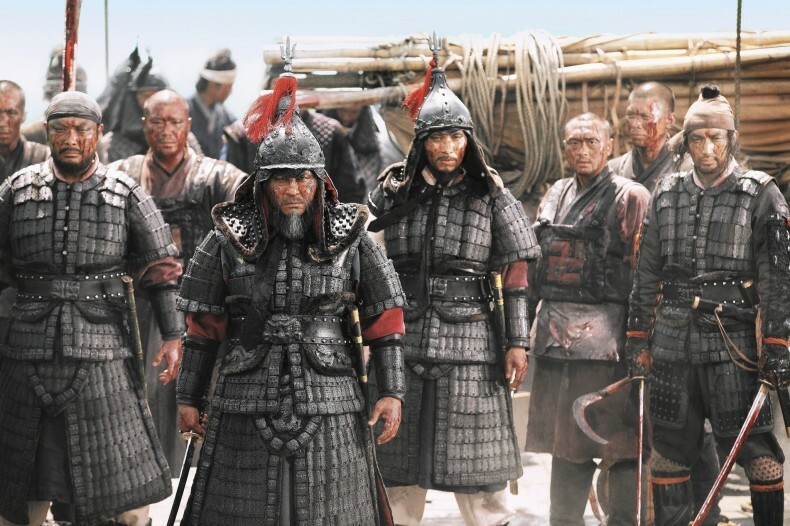 In “Roaring Currents,” Admiral Yi Sun-shin (Choi Min-sik) struggles against both the Japanese and dissension in his own ranks to try to save the Joseon dynasty from being overwhelmed by the Japanese. On a film-making level, the film is superb. While the plot jumps and characters must be introduced through little labels on the film itself rather than more organically through dialogue, the action scenes are spectacularly well done, and in many ways succeed at making the audience feel as though they are present at the battle. The tension of the battle and the overwhelming odds which the Korean fleet faces are very well-presented, and emphasise the hopelessness of the Korean fleet. The soundtrack, too, is excellent, hammering home all the emotions that come into play over the course of the battle. However, the film suffers from its need to include every possible character to the point where the plot can get confusing because of the sheer number of characters that one must keep track of. Various side stories and vague character development are thrown in willy-nilly, sometimes never to be addressed again, while sometimes, far too much time is devoted to one particular, entirely irrelevant aspect. These critiques don’t necessarily represent the most interesting aspects of Roaring Currents, however. What is more interesting is its portrayal of history. As previously stated, Roaring Currents does its best to include every character, but not entirely accurately. Those who support and agree with Admiral Yi Sun-shin are portrayed as deeply heroic, while those that doubted him or expressed disagreement are caricatured. While this is somewhat understandable – after all, this is a film with a story to tell – doing so while still ostensibly telling the story of an actual event raises interesting implications for how the film ought to be interpreted, and how it’s interpreting history. Nowhere is this more obvious than in the depiction of the Japanese naval commanders. While they are the villains of the story, their depiction goes beyond the depiction of cowardice on the part of some of the Korean officers. They are depicted as constantly backstabbing, effeminate, incompetent commanders, obsessed with Yi Sun-shin while simultaneously utterly petrified of him. It’s a depiction of history that likely doesn’t reflect reality. While films don’t necessarily have to depict history exactly – nor should they be expected to – when a film’s depiction has actual political implications, it ought to be more carefully considered than Roaring Currents seems to be.